How do we give a gift that does no harm to our one-and-only planet? Give a gift that renews the soil that grows our food! 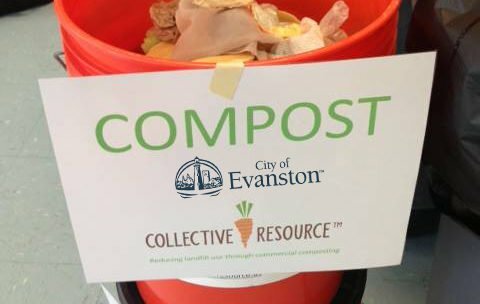 The gift of Collective Resource’s compost service! We'll even send them an e-card on your behalf with everything they'll need to get started. We provide your family with a 5-gallon bucket and then, depending on the number of people in your household, pick up the food scraps weekly or biweekly and take them to a commercial compost site. We leave a clean bucket for you to continue your collection for the next pickup. Learn more and see if you are in our compost pickup service area. We tailor our compost pickup service to create a program that works for each customer. Most customers are on a weekly pickup, but some are twice a week. With each pickup we deliver clean, lined, kitchen-ready totes, so it is easy for your kitchen staff to start the collection again. Our goal is to make it easy for your business to reduce what it sends to the landfill. Our personalized service sets us apart from other ​food scrap haulers. We offer zero waste consulting, compost education, as well as event staffing. Our dedicated Zero Waste Consultants can help you manage the waste stream at any event, large or small. We ensure the proper disposal of your food scraps, as well as all other waste, including recyclables. We provide door-to-door food scrap pickup service for homes, businesses, and events. Our goal is to give everyone the ability to reduce what they send to the landfill. We work with each customer to figure out what works best for them and their family or their business. Composting with us is an easy and effective way to have a positive impact on the environment on a daily basis. Learn more about commercial composting and see what can go to the commercial composting site.